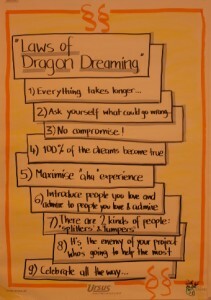 The ethics of Dragon Dreaming are comparable to permaculture ethics. 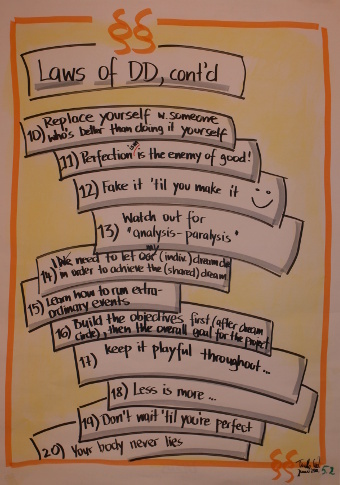 Although formulated slightly differently, there is nothing missing on this more general level. 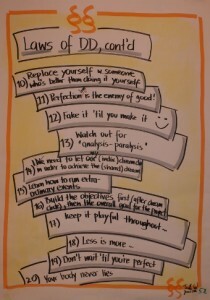 Interestingly there is more explicit focus on personal development and collaboration than in the permaculture ethics. 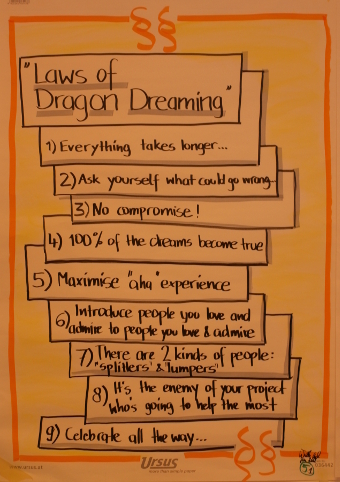 The guiding principles of Dragon Dreaming seem to be more focused on the attitudinal principles of the designers or collaborators rather than the ecosystem-based principles of permaculture.